Google Mail is an email service provider and it also helps to communicate and transfer data or sharing of information. Google’s Mail servers scan emails for multiple purposes which include the filter malware and spam. The use of Gmail account is finite and maximum data it can hold is 10GB and if the user tries to place more than its limit then it leads to non-functioning of Gmail services and data loss. So the user’s advice to save their data to the secondary storage devices like SD Cards, External Hard Drives. Which helps the users to store their data and access any time as they wished to. Therefore, the below section discusses the manual solution (Google Takeout) to save Gmail email to hard drive. Why do We need to Transfer Gmail Emails to Hard Drive or Other Devices? 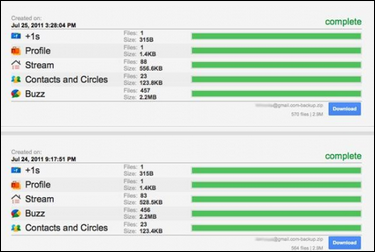 Due to issues in the Gmail, the users prefer to move Gmail to the hard drive. Along with this, the users get frustrated due to its destabilized functioning of Gmail which occurs the inaccessibility of the Gmail account. Due to these the users, data may lose completely. So to avoid these issue the user will be suggested to make a full save of email items to the external hard drives. So the physical presence of whole data can be made. Which will really help the users to access their data even the server crash. Even if the data size approach to its maximum size limitation of Gmail the users can delete the data after making a copy of data on the External hard drive. Let’s move on how to transfer Gmail emails to external hard drive efficiently with its proper step by step process. The Gmail emails can be copied into the secondary storage devices like external hard drives as by the Google Takeout services, which help to store the Gmail data into a local machine. 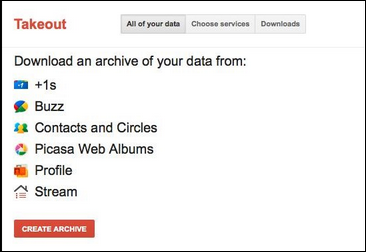 As the name mentioned that is the Google Takeout will help to take out the data from the Gmail. The main attractive feature is that users can make data filtering that is taking the selective data. The Google Takeout will download all the selected data and then it will save in a .zip file(compressed file) in the Secondary storage devices. And this process really helps to Save Gmail email to hard drive. 4. After downloading press Save button to stored Gmail emails to external hard drive or to transfer Gmail to SD card. The downloaded file will be a compressed one ie, .zip file. Google Takeout creates issues during its downloading process. Users are unable to download files properly. Highly time-consuming during downloading archive folder that is nearly 2GB. Really difficult for the normal person (technically unknown persons). Gmail Backup is the best tool which helps to create backup Gmail emails on external hard drives. The issues mentioned in the manual method gets eliminated and makes a user-friendly approach to transfer Gmail to SD Card / Hard Drive. This software also helps to create the backups of emails, calendars, contacts etc from single and multiple accounts. The tool also helps to backup data in any file format like PST, MSG, MBOX, EML etc. The working of this tool is really simple so no extra knowledge is needed which makes any head-burn. The above content discussed how to save Gmail email to hard drive with the proper manual procedure. The manual method uses the inbuilt function of Gmail that is Google Takeout. Also, we have mentioned the proper limitations of this manual methods. So to avoid the extra burden we have mentioned the third party tool in the automated solution which helps us to move Gmail to hard drive.